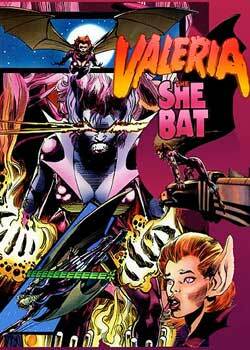 SHEBAT-Valeria is a Hybrid, a cross between a human being and an underground creature called a Firebat. She is beautiful. 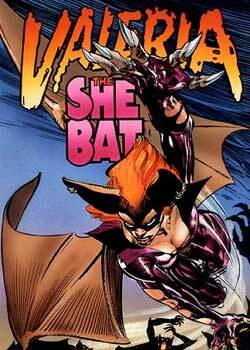 Firebats are often mistaken for Vampires. In her normal life, Valeria is a bright fashion model, and the toast of 4 continents. She’s a beauty and a beast all wrapped into one. Her incredible experiences have brought Valeria and her Werebred friends to a dramatic decision. They become mercenaries, in a super scientific world of industrial espionage.